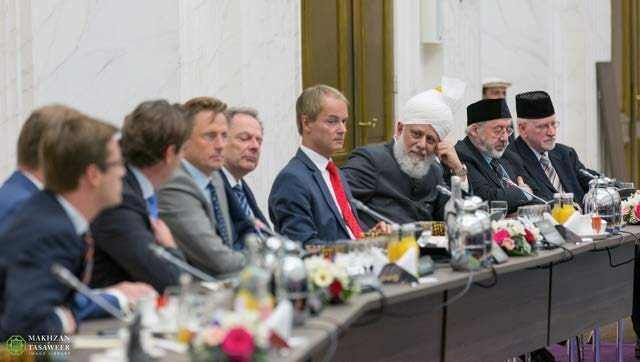 On 6 October 2015, World Head of the Ahmadiyya Muslim Community, the Fifth Khalifa (Caliph), His Holiness, Hazrat Mirza Masroor Ahmad, delivered an historic address at a special session of the Standing Committee for Foreign Affairs at the Netherlands National Parliament in the country’s capital city of Den Haag (The Hague) in front of an audience of more than 100 dignitaries and guests. 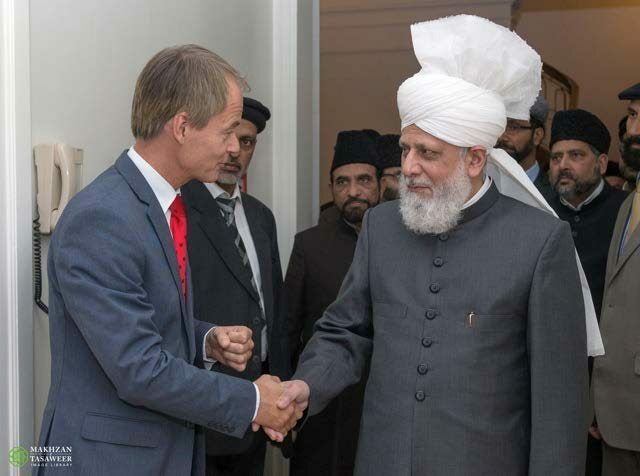 Upon arrival at 4.35pm, Hazrat Mirza Masroor Ahmad was greeted by Harry van Bommel (Member of the House of Representatives and Deputy Chairman of the Standing Committee for Foreign Affairs), who escorted His Holiness to the Committee Room. 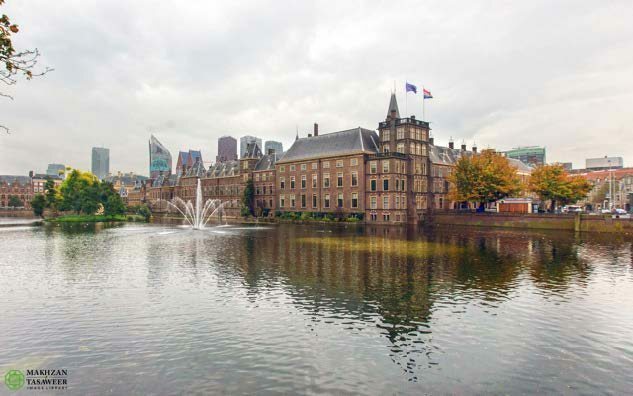 The formal session commenced as Mr van Bommel welcomed His Holiness to Parliament and introduced the committee members. 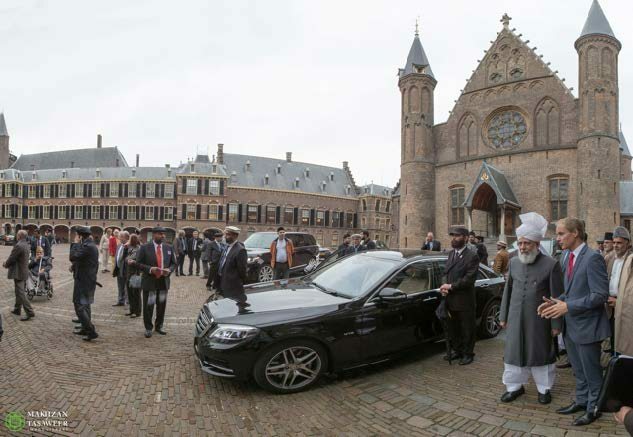 He also welcomed various foreign Parliamentarians, Ambassadors of State and dignitaries representing countries including Albania, Croatia, Ireland, Montenegro, Spain and Sweden. 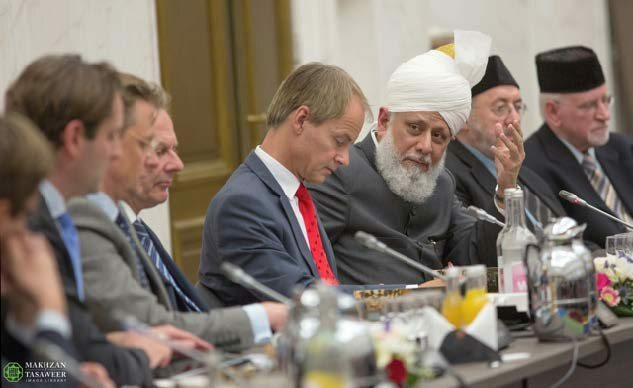 Thereafter, Hazrat Mirza Masroor Ahmad delivered the keynote address during which he deemed the threat to the world’s peace and security to be the critical issue of this era. 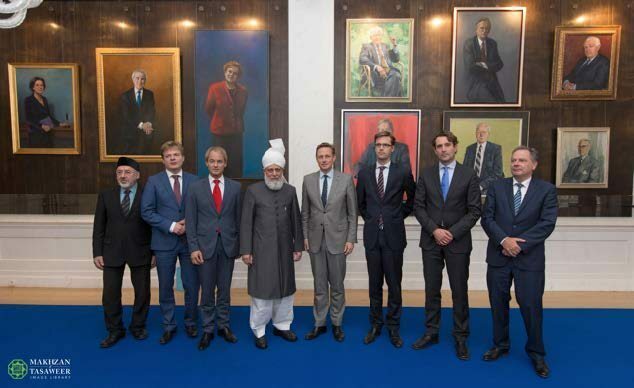 His Holiness gave solutions to the problems faced by the world based on the teachings of the Holy Quran. He also called on world powers to support less economically developed nations and to refrain from exploitation. 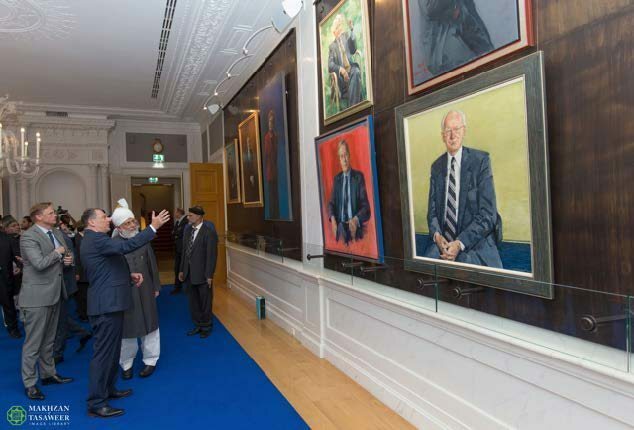 His Holiness said there were various factors affecting the world’s peace and security, including worldwide economic instability; a lack of justice and trust between governments and members of the public; and the increasing discrepancy between developed and developing nations. 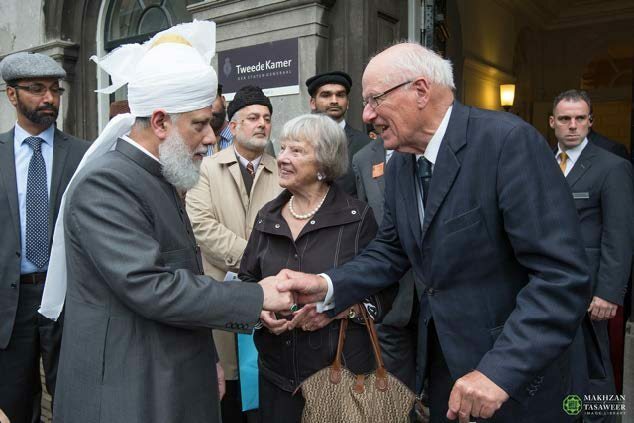 The religious leader said that neither Islam, nor any other religion, could be blamed for the violent acts of extremists. “an injustice of the very highest order”. 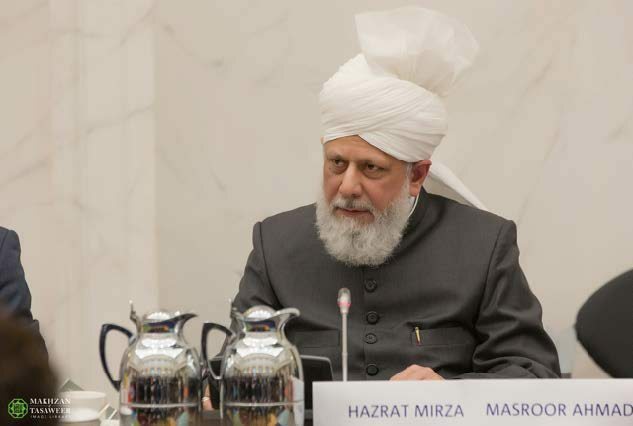 Later, Hazrat Mirza Masroor Ahmad cited a number of Quranic verses, which proved that Islam stood for religious freedom and universal human rights. 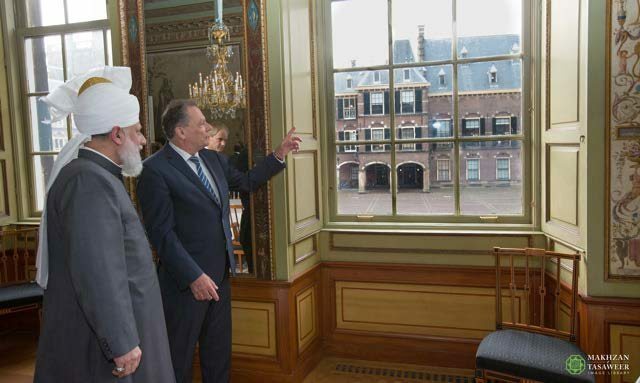 His Holiness also explained that the wars fought by the Holy Prophet (peace be upon him) and the early Muslims were entirely defensive in nature and were fought in order to protect the principles of freedom of religion and belief. 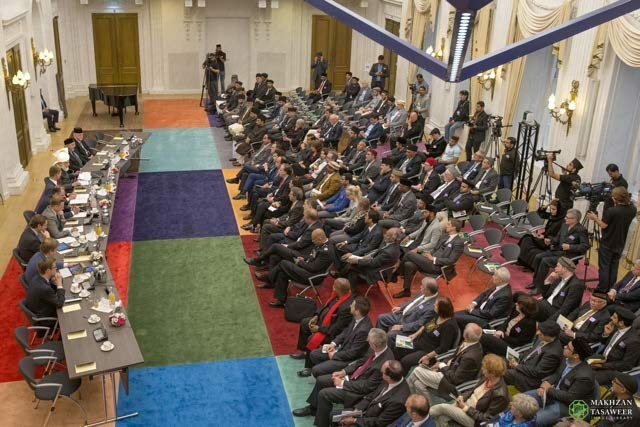 Concluding, His Holiness called on the major powers to desist from all forms of exploitation of weaker nations. 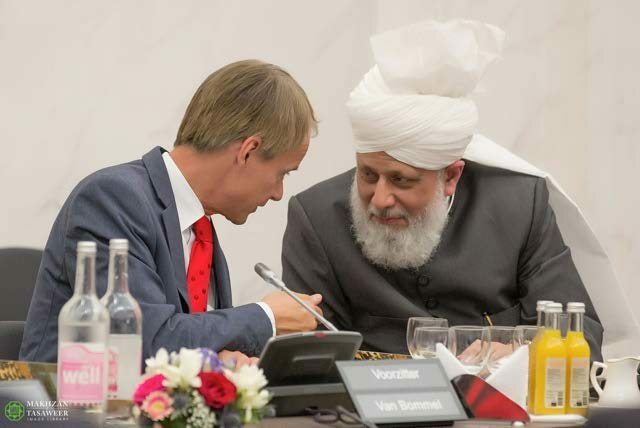 Following the conclusion of his address, members of the Standing Committee were given the opportunity to ask His Holiness his views on a range of issues, including religious freedom, freedom of speech, the refugee crisis and the persecution of the Ahmadiyya Muslim Community. 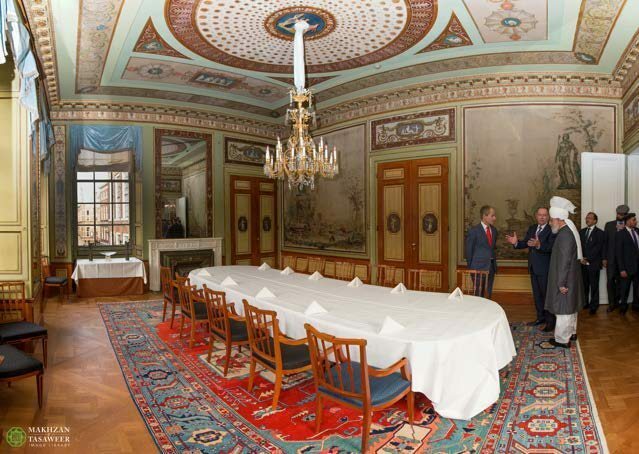 Later, His Holiness personally met various dignitaries and guests and was also given a tour of certain historic rooms within the Parliament.